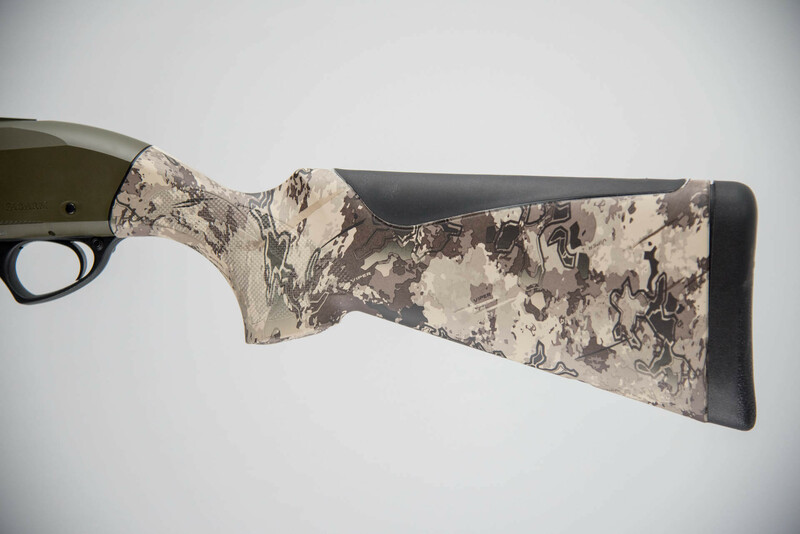 Fabarm XLR Waterfowler True Timber Viper 12GA 28"
This Fabarm XLR5 Waterfowler is chambered in 12 gauge and features a traditional 28″ flat rib barrel. 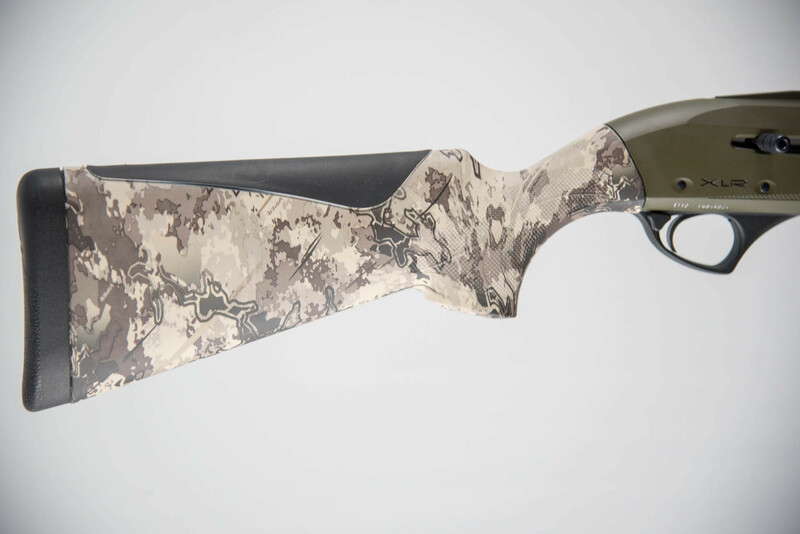 Limited edition True Timber Viper synthetic stock and forearm with OD green accents. 4 chokes and hard case come standard. 3in chamber. 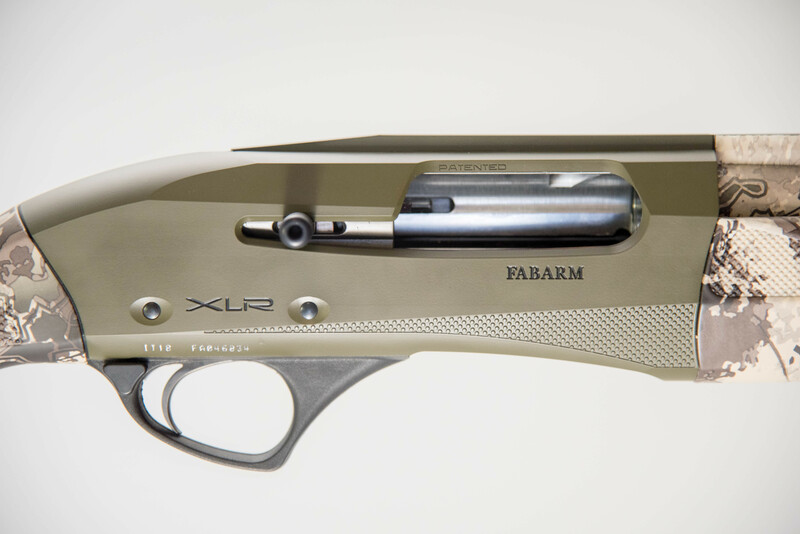 Over the last several years FABARM XLR5 shotguns have taken the competition world by storm. 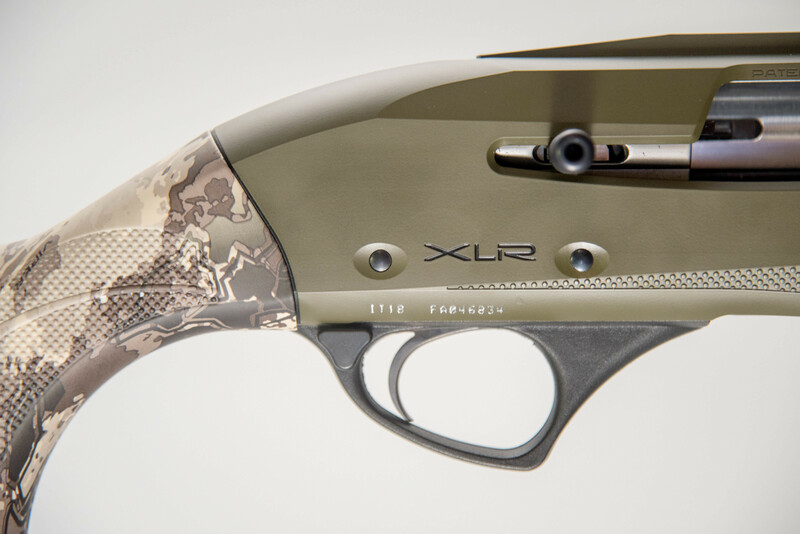 A long list of technical features that have never been incorporated into semi-automatic shotguns combined with durability and reliability has made the XLR5 a favorite with target shooters. 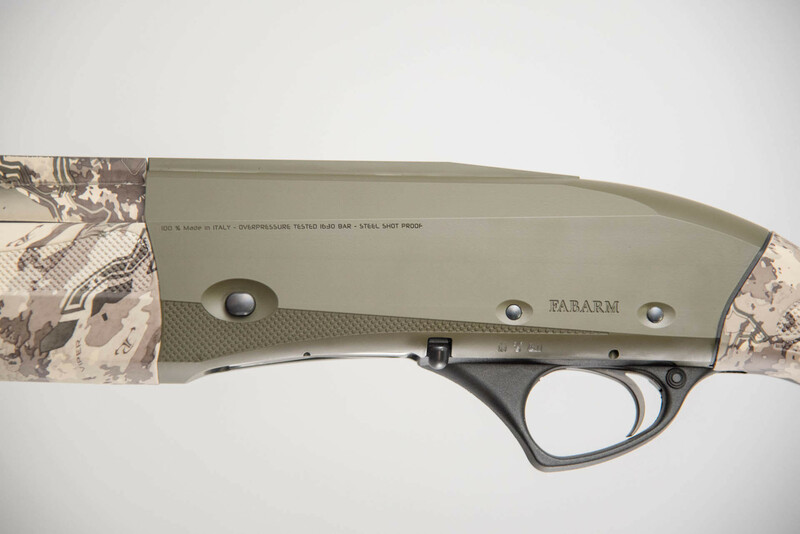 The engineers at FABARM are now applying the same philosophy to making a specialized waterfowl model. 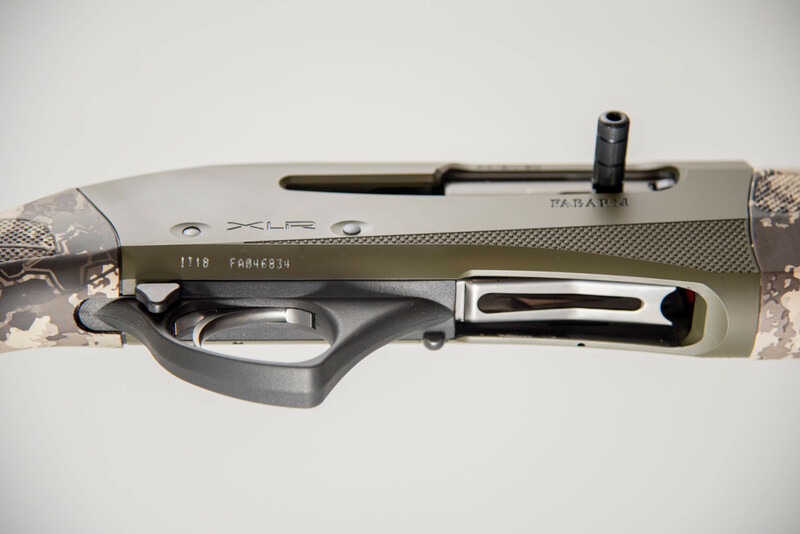 At the heart of the high performance XLR5 platform is the revolutionary Pulse Piston™ system that acts as a progressive brake thereby eliminating any valve system and allows for the function of varying types of ammo. This equates to a system that is simpler, contains less parts, is easy to clean and inevitably more reliable. 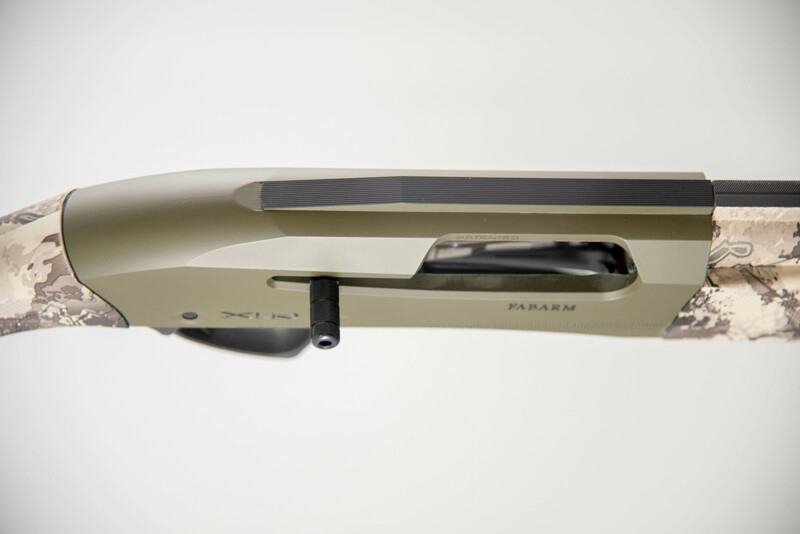 Additionally, the braking of the pulse system progressively slows the action with heavy loads reducing felt recoil. Most significantly the reduction in recoil and enhanced reliability is achieved in what is the fastest cycling Semi-auto hunting gun on the planet at .31 of a second for five rounds. 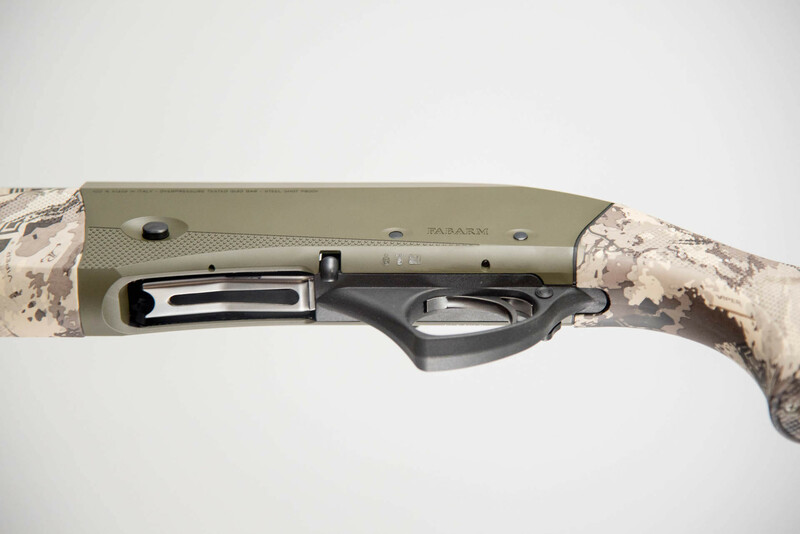 To maximize down range performance we have incorporated FABARM’s proven TRIBORE HP™ barrel design into the XLR5. 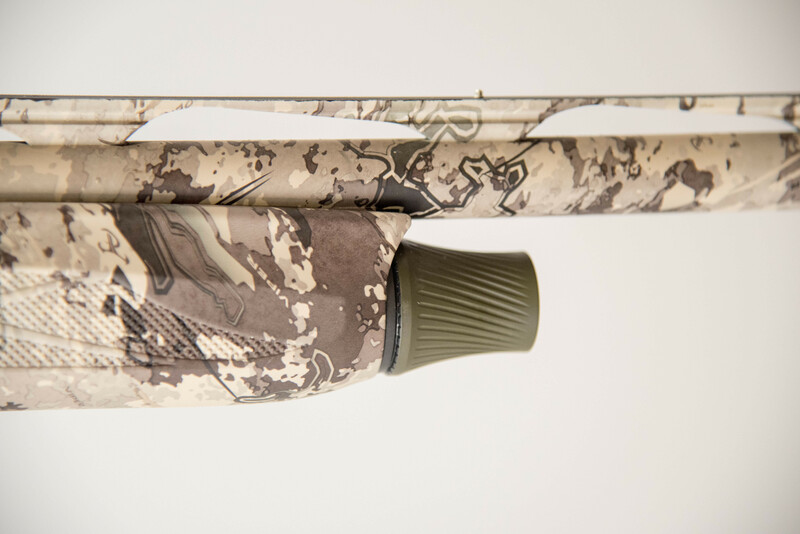 This tapered bore allows for reduced recoil and improved pattern performance. We have even created a special competition choke tube, the EXIS DK, tuned for non-toxic ammo in the most popular pellet sizes. 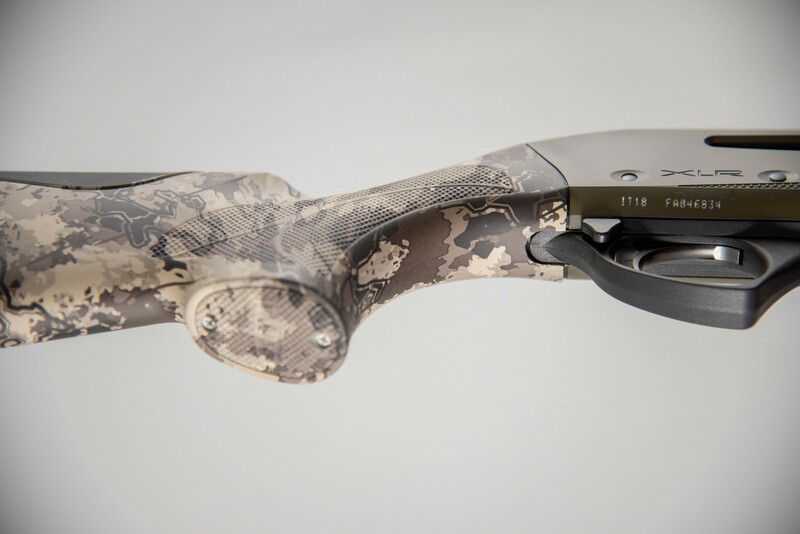 This choke in combination with the TRIBORE™ barrels allow the XLR5 to do what no other hunting shotgun can, use up to extra full choke without any negative effect on the firearm. As an assurance of strength and durability every FABARM XLR5 is tested by the Italian National Proof House to the highest possible rating of 1630 BAR. If pure performance is the heart of the XLR5, the extensive list of user friendly features are the brains. 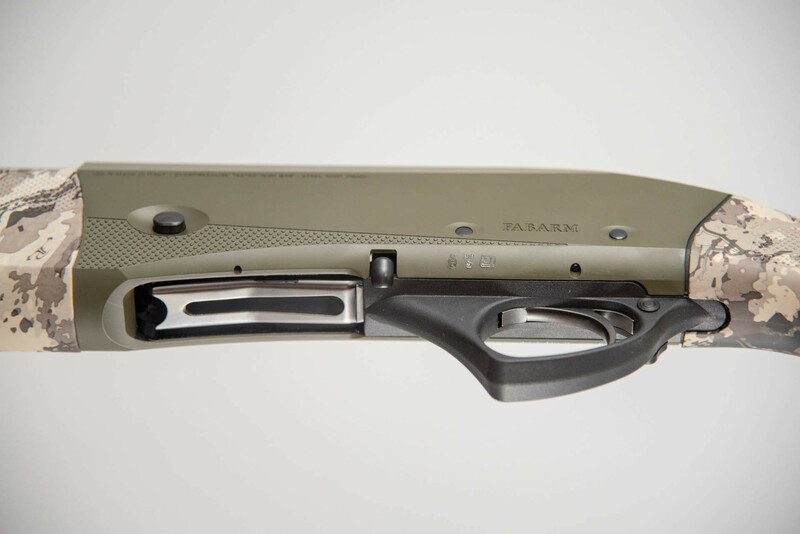 The oversized trigger guard, safety, magazine cut off and extended bolt handle are purposely designed to allow for full control of the firearm with even the bulkiest winter gloves. 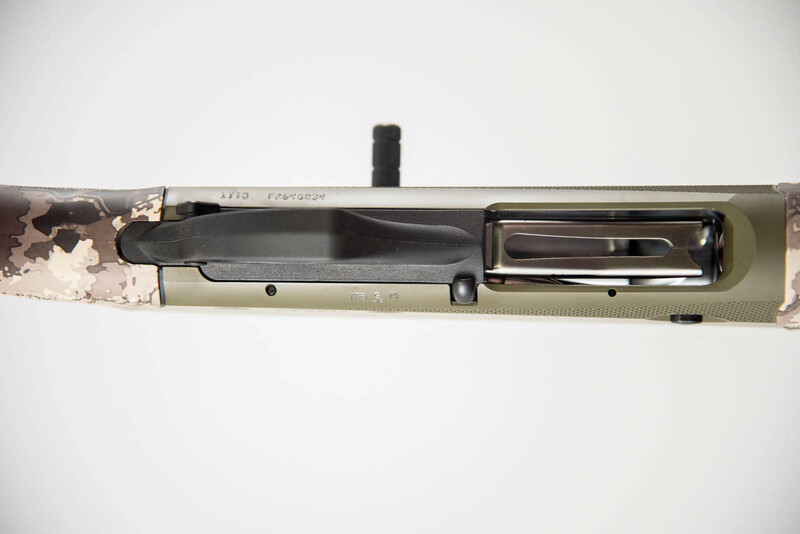 The competition bred LR (Long Rib) concept has a top rib that increases the sighting plane by 4 1/2” and allows the shooter to see down the rib with a more comfortable head-up posture. 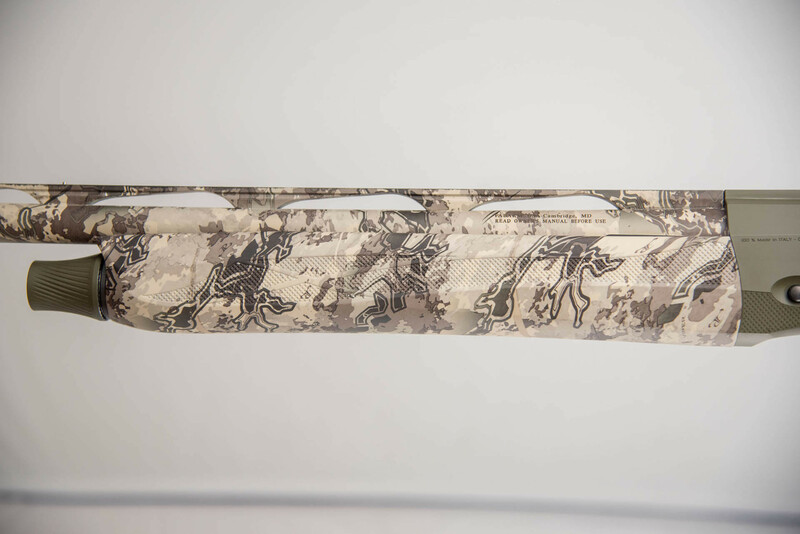 To reduce glare we have masked off the top surface of the rib to provide a camo free matte black finish and added a high visibility fiber optic front sight. Water and mud can destroy a shotgun quickly. To reduce the possibility of rust and corrosion the barrel extension and bores are chrome plated. We have also PVD coated the bolt, nickel plated the chokes and covered the external metal surfaces with camo for added protection. 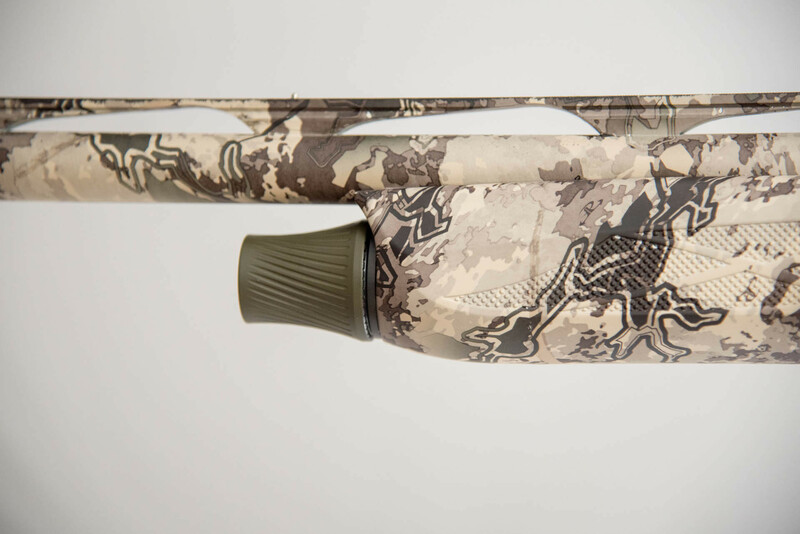 The synthetic stock is also coated with a Soft Touch camo process to create a rubberized feel.